Digital marketing is a sales promotion activity using various electronic media such as the Internet, e-mail and smartphone applications. With the rapid expansion of the digital marketing market, as introduction companies and service vendors continue to increase, various challenges are emerging. The use of artificial intelligence is now commonplace in Web marketing. Artificial intelligence (AI) is a machine that behaves as if it is a human being. AI is mounted on automatic driving vehicles and humanoid robots, and its performance has attracted attention, but AI usage is also progressing in the field of digital marketing. AI is able to provide marketers with amazing insights and predictions that seemed impossible until now. From the evaluation of the success of the message towards a specific target layer in a promotion, it can be said that AI ‘s capabilities are striking, predicting whether prospective customers are likely to choose competitors. Data is necessary to apply machine learning and deep learning to business. In addition, feedback of results will improve learning and accuracy, so the use of AI is progressing in tasks where data and results are easy to collect. The range of application of AI to digital marketing is wide, and there are many marketing tools that utilize AI. For the widespread use of AI and the future of digital marketing, there is no doubt that marketing talent with high adaptability to major changes is required. Changes in the marketing field brought about by the rise of AI are estimated to be ten times greater than when the Internet appeared. AI usage is advancing in the form of automatic bidding and reporting automation. Google himself uses AI called Rankbrain for ranking algorithm for anything. In access analysis, AI is often utilized for automation of analysis reports, etc. There are chat, pop-up display, etc. in the web service, but especially in the field of a pop-up display where the use of AI is progressing. In display advertising, AI is adopted as distribution optimization for each medium and distribution platform called DSP. Forbes and Associated Press are using tools like Articoolo and Wordsmith to create news’ and getting clicks. There are cases where the Los Angeles Times paper wrote an article by the content generation tool a few minutes after the earthquake occurred in Los Angeles. It is possible to decide the form of the sentence in advance and search the enormous amount of materials in the past along with the latest information to identify necessary information and to write articles within seconds or minutes. Artificial intelligence learns about grammar and industry-specific phrases from past materials, so you can generate uncomfortable content even if you read it. On the other hand, making artificial intelligence disadvantage is to create content from atypical information. It is said that it is difficult for artificial intelligence to deal with topics and individual opinions and impressions that various opinions are accepted without being able to decide the good or bad in general. AI is used in ‘automation of marketing work’ and ‘cross-device targeting’ that delivers advertisements that are optimal for the devices owned by the user. In a unique place, it is also making use of AI to create copies of advertisements. 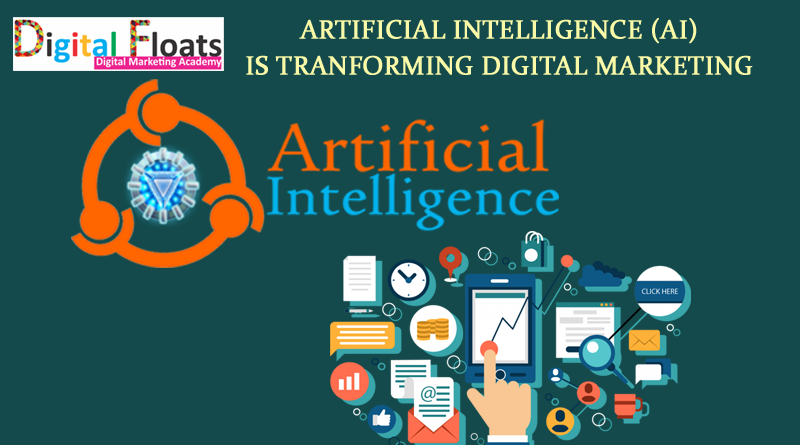 It is possible to utilize AI even in data-driven which is one of the components of digital marketing. Consumer data tied on the Web is nothing but “big data” for analyzing with AI. What Is Digital Marketing Course ? October 28, 2016 admin Comments Off on What Is Digital Marketing Course ? 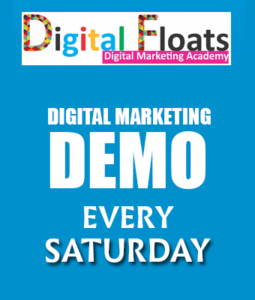 August 25, 2016 Naveen Alapati Comments Off on Looking For Best Digital Marketing Course Training In Hyderabad ?